Heughan, filming on location in Faskally Wood, points to a series of cylindrical wooden huts down by a lake. 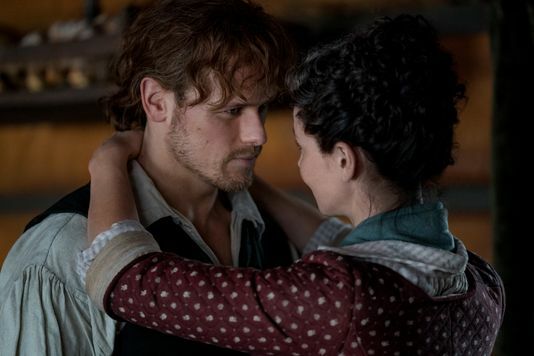 “Outlander” has brought 1770s America to Scotland, building a Cherokee village and a Mohawk settlement on the banks of Loch Faskally reservoir. Head writer and executive producer Matthew Roberts says turning Perthshire into North Carolina wasn’t as big of a stretch as it might seem. Love the Stills and the interview with Caitriona, Matt Roberts, and Sam Heughan. Season 4 will be awesome, genuine and very real. Just a few more days!